Graded stakes winner Great Stuff has been retired and will stand the 2019 breeding season at Lovacres Ranch in Warner Springs, Calif., for a $5,000 fee, stands and nurses. Great Stuff is the only son of Quality to Road to stand in California. Quality Road was the number-one sire by Grade 1 winners in 2018. 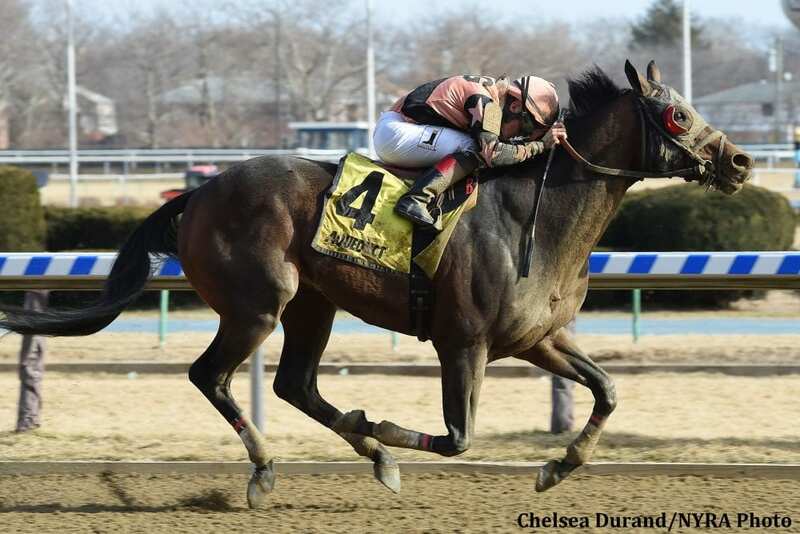 Great Stuff, out of the stakes-placed Hennessy mare Sumptuous, ran a 102 Beyer Speed Figure in winning last year's Grade 3 Toboggan Stakes at Aqueduct. He was third in the G1 Carter Handicap and G3 Tom Fool Handicap, finishing his career with earnings of $478,902. David Jacobson most recently trained Great Stuff, and co-owned him with Bruce Golden Racing. He was bred in Kentucky by Stonestreet Farm. This entry was posted in Bloodstock and tagged 2019 stud fees, Bruce Golden Racing, david jacobson, great stuff, lovacres ranch, retirements by Edited Press Release. Bookmark the permalink.